Whether you work in an office, a store, a laboratory or a hospital, finding the time to prepare a fast, delicious lunch at work is not always an easy task. Many people grab a quick lunch at the nearest fast food restaurant or spend $10 a day at a nearby deli. Others pack the same plain turkey sandwich or salad every day. Eating the same dull meal week after week can get boring. After working all day, no one wants to spend their free time cooking a gourmet meal for the following work day. But not to worry, preparing a gourmet meal doesn’t have to be difficult. 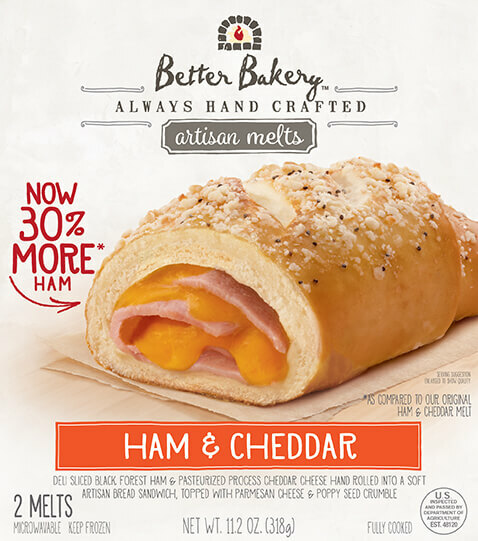 You can spice up your work lunch with Better Bakery Company. At Better Bakery, you’ll find everything from handcrafted sandwiches and pretzel rolls to cinnamon bites and fancy pretzels. 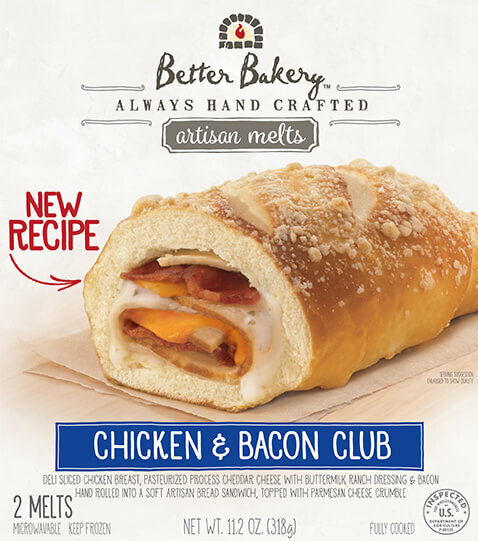 Handmade by our world-class bakers, our pretzel rolls and sandwiches are made using the finest ingredients. We don’t use fillers. We only use the most savory deli sliced meats and cheeses. And for dessert you can try our Cinnabon Gooey Bites that are packed with creamy frosting and velvety cinnamon sugar. Once you try our handcrafted pretzels and cinnamon bites, you’ll never want to go back to eating an ordinary lunch again. And best of all, all of our delicious meals are fast and simple to prepare. With all our meals you’re just seconds away from eating a mouthwatering lunch. All you have to do it throw your meal in the oven or microwave and enjoy! You’ll no longer need to eat unappetizing cafeteria food, wait in long lines a local sandwich shop, or spend lots of money. And most importantly, you won’t have to eat a regular, boring lunch again. Here are just some of the delicious meals we offer at Better Bakery! 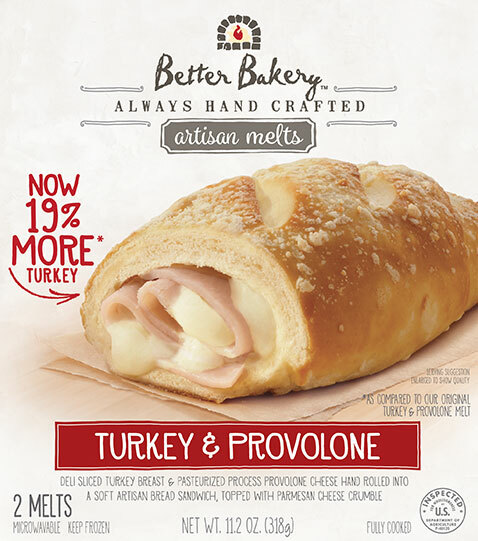 Stuffed pretzel sandwiches – Our handcrafted pretzel sandwiches contain only the highest quality deli sliced meats and cheeses. And, with 9 assortments to choose from, you’ll never get tired of them. 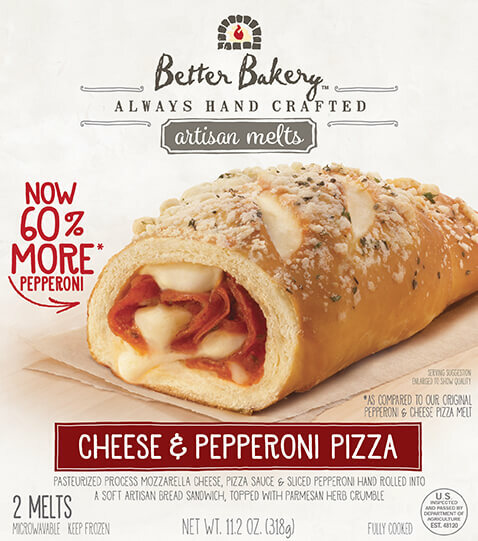 Choose from delicious Pepperoni and Cheese Pizza Pretzel Melt. 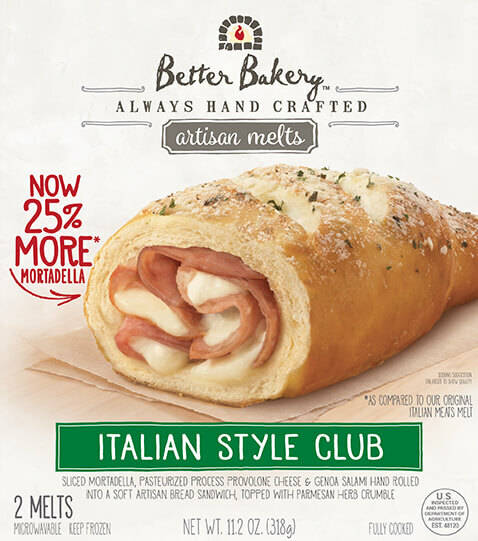 Packed loads of flavor, this melt contains real mozzarella cheese, sliced pepperoni and pizza sauce – all rolled together into a beautifully crafted pretzel melt. 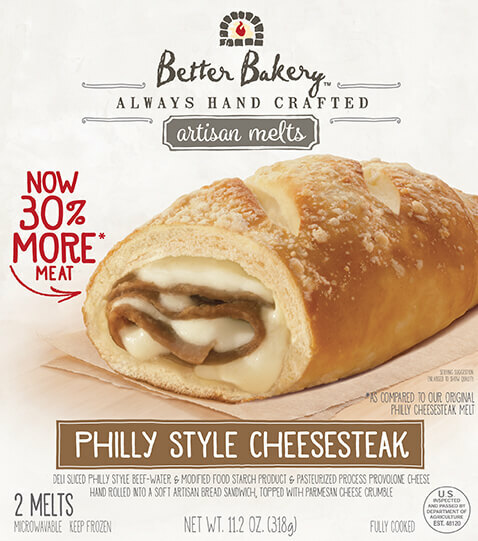 Or, try our Philly Cheesesteak Pretzel Melt that’s stuffed with real Philly beef and smooth provolone cheese. Cinnabon Gooey Bites– Everyone loves Cinnabon. So why not try our soft, mouthwatering cinnamon bites at Better Bakery? Each bite is loaded with delicious cinnamon flavor that will literally melt in your mouth. Don’t go back to eating an ordinary lunch. Visit your local grocer to find Better Bakery’s pretzel melts and cinnamon bites today!